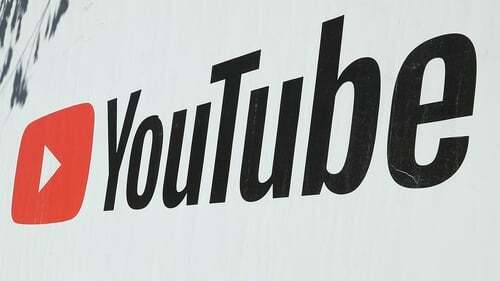 A Garda has brought a High Court action aimed at compelling Google to take down a YouTube video with a commentary which he claims is false, malicious and defamatory. The Garda, who cannot be identified for legal reasons says he features in the more than three-minue long video, which was taken at a public order incident in 2016, when he and other gardaí affect an arrest. He says in the commentary on the video he is wrongly accused of kicking a minor in the head. The audio on the clip does not match and does not reflect the images displayed in the video, he claims. The commentary on the video also wrongly accuses the Garda of having "assaulted that young fella," that he is "after kickin the head off him" and the Garda has been "boot'ng him." The Garda said the statements on the video are unfounded and without substance, and the video has impacted on him as an individual and a member of An Garda Síochána. The Garda said he was informed of the video by several of his colleagues after it was posted and said it received almost 40,000 views and the website had dozens of comments. His solicitor attempted to make contact with the person who posted the clip on YouTube to ask for it to be taken down, but were unable to determine the identity of that person or their address. Solicitor Damien Sheridan wrote to YouTube, which is owned by Google, to request that the video be taken down. When the video remained published on the website the Garda initiated High Court proceedings against the internet firms. In his proceedings, the Dublin-based Garda is seeking various orders, including an injunction restraining Youtube LLC and Google Ireland Ltd from refusing to remove the video from YouTube with immediate effect. He also seeks orders directing the defendants to deliver the identity of the person who posted the video, and all other relevant contact information and details within its power and control. The Garda further seeks an injunction prohibiting the defendants from allowing any further postings by the person who put up the allegedly defamatory video on YouTube or other websites within their control. However, the Garda's lawyers have claimed that it is still technically possible to view the video. The matter returned before the High Court when a number of pre-trial motions in the case began before Mr Justice Tony O'Connor. The motions relate to whether the Irish Courts have the jurisdiction to make the orders sought by the Garda and if the defendants were properly served with the injunction proceedings. The Judge adjourned the motions to allow the sides to prepare further legal submissions to a date in January.